No special plans tonight? Good. Gawker and Jalopnik are teaming up to show the new war classic “Three Kings” at Nitehawk Cinema in Brooklyn tonight at 7:30 PM. After the film we’ve got veteran journalist Peter Pringle grilling Nat Sec expert Bill Arkin on all his stories of ferreting missile parts out of Iraq. There are a couple of tickets left so get them now and drink and thank us later. Why are we showing this film? Gawker’s national security blog Phase Zero and Jalopnik’s military site Foxtrot Alpha have fed all of their site’s comments into the secret Gawker Media mainframe suspected to be hidden near the pastrami case at Katz’s Delicatessen in order to determine the best four films about the conspiracies – real or imagined – that fascinate us. Who killed Kennedy (The Parallax View)? Who helped Edward Snowden (Citizen Four)? Who knew Spike Jonze could act (Three Kings)? Bill Arkin, who was once interrogated by Iraqi National Intelligence, and his special guest, Peter Pringle, will discuss the film. Peter Pringle is a veteran British foreign correspondent and the author and co-author of several non-fiction books including the bestselling Those Are Real Bullets and the New York Times notable Food Inc. He was on the staff of London Sunday Times, the Observer and the Independent and has written for the New York Times, the Washington Post, The Atlantic and The New Republic. He has written one thriller, Day of the Dandelion. 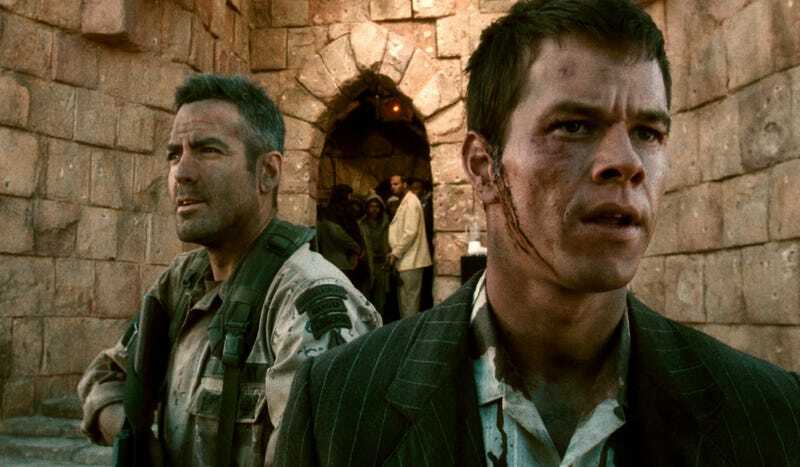 Three Kings is the first film in the lineup and it should be great. Tickets are $15 and there are only a few available so buy them now!